If you have never had mochi, you are missing out. Mochi is a traditional Japanese sticky rice cake, and it is delicious! 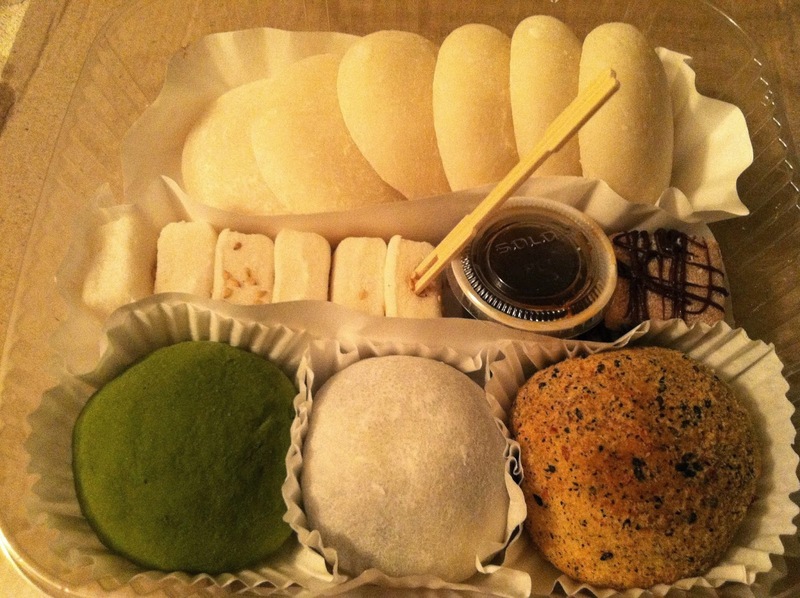 Pictured above is an assortment of freshly made mochi from Mochi Kitchen, based in Somerville, MA. 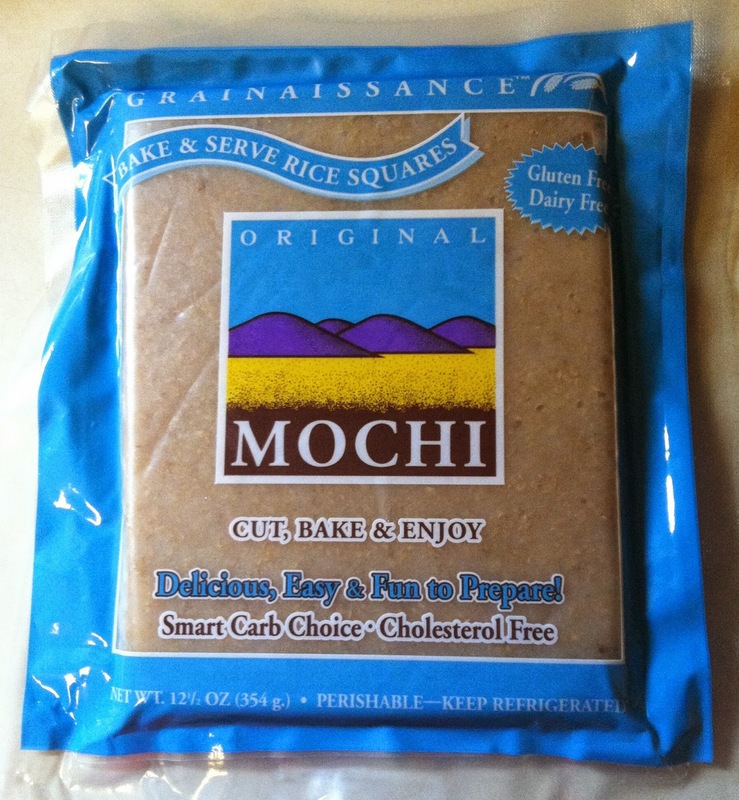 Although I have not made my own mochi from scratch before, I have bought pre-made Grainaissance Mochi from Whole Foods. 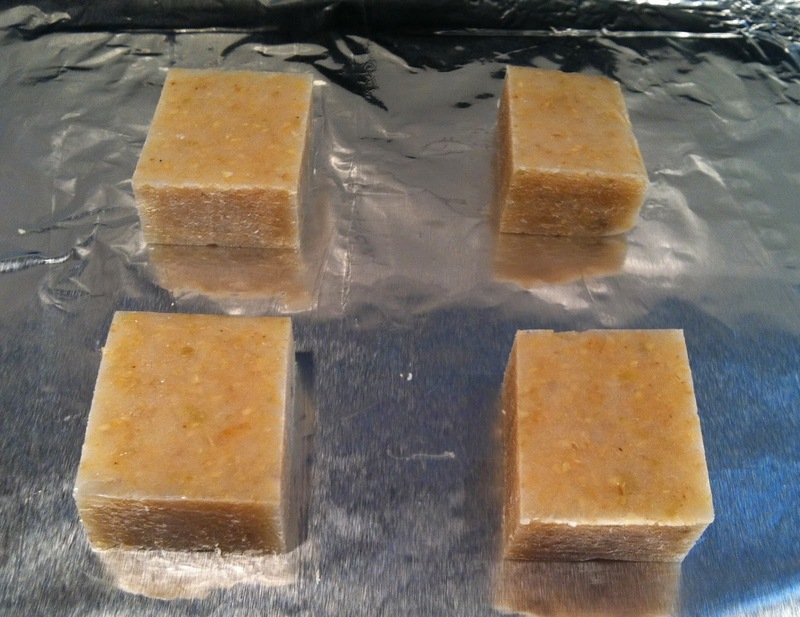 Just pre-heat the oven to 450°F, and cut the mochi into 1" - 2" squares. 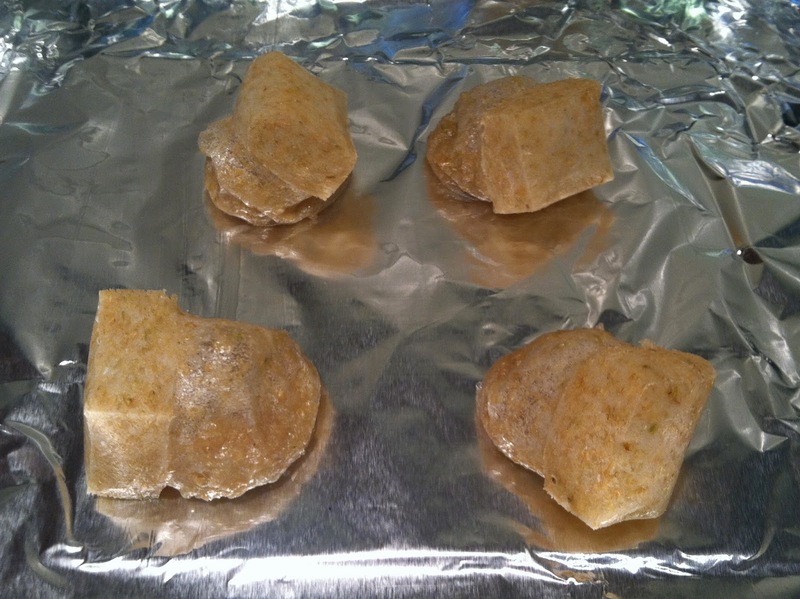 Bake 8-10 minutes until the mochi puffs up, and they're done! Eat the mochi as is, or with sauces. When I first heard about mochi waffles from my friend Sean Kushi, who ate them growing up, I could not believe I had not heard about them before. Waffles made out of mochi? Yes, please! 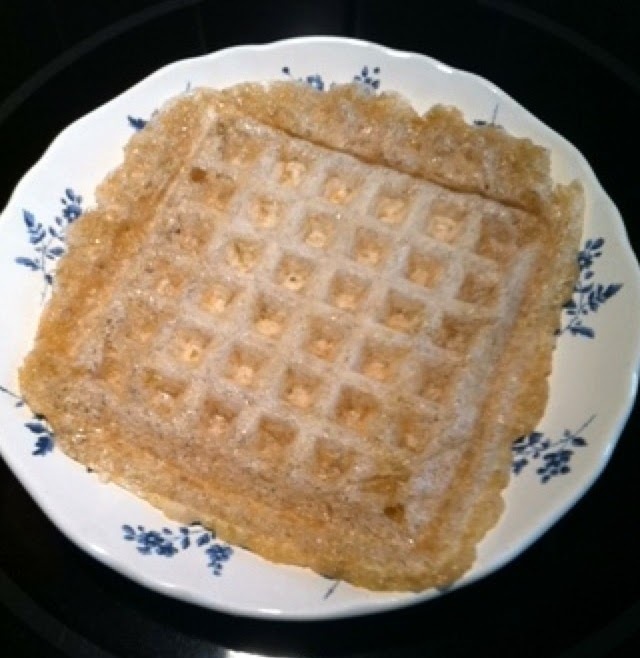 Making mochi waffles, or moffles, is easy and quick; and they are gluten-free and tasty. 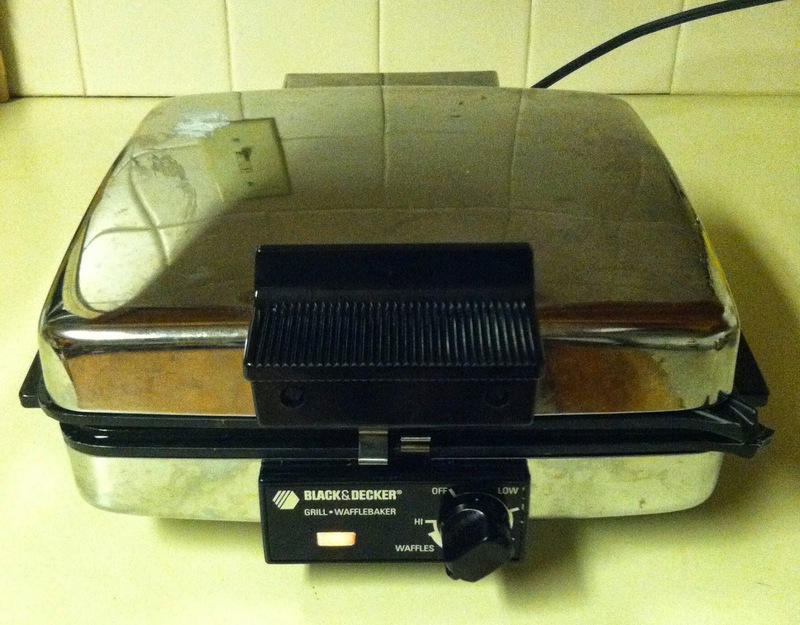 Luckily, I was already equipped with a waffle maker. Pre-heat the waffle maker, and coat the surfaces with oil. When the waffle iron is ready, put in the mochi, cut to your preferred size. 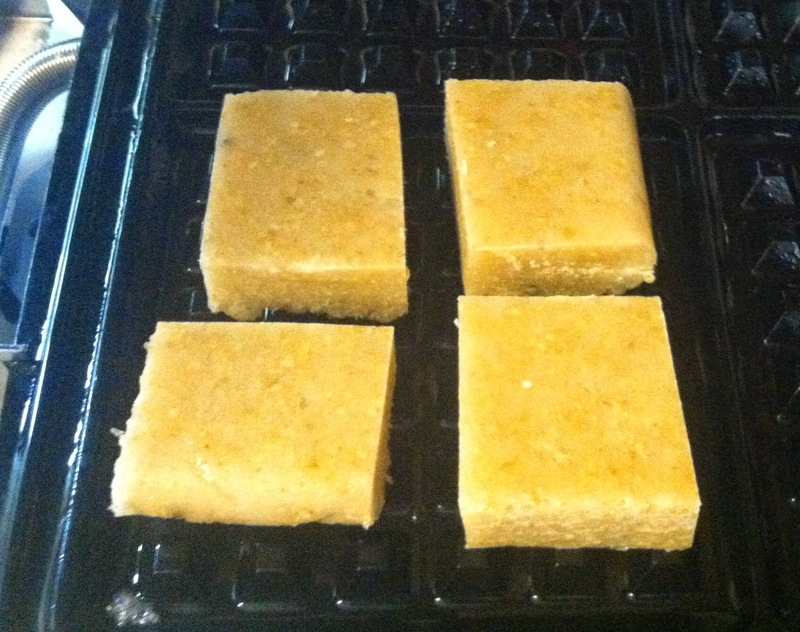 Cook the mochi for about 4-5 minutes, depending on your waffle maker. And your mochi waffle is ready! Eat moffles with maple syrup, natto, nut butters, or any toppings of your choosing. Savory or sweet toppings can be used, and check out some other topping ideas towards the end of this article from Serious Eats. Enjoy!